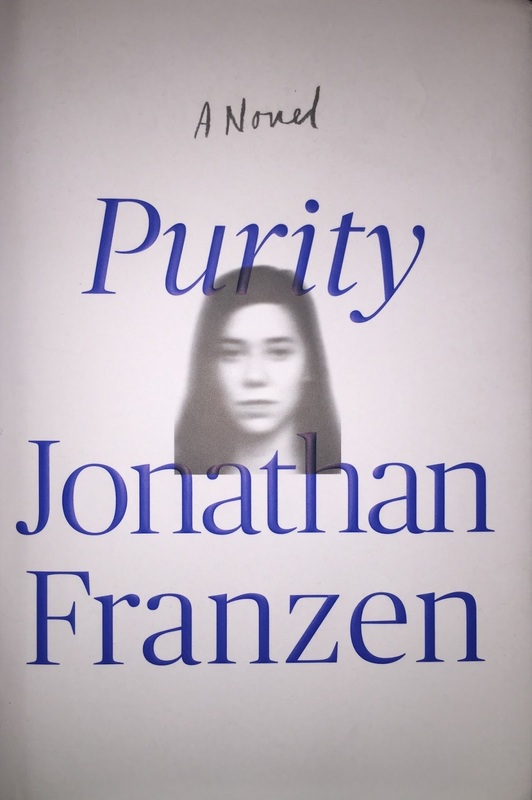 Purity, the title of Jonathan Franzen’s novel, is the name of one of the protagonists. It is also an adjective the he uses several times to describe an aspirational aspect of some of his charismatic, treacherous, and staid characters. Purity, who chooses to go by Pip, is impoverished character who is immediately annoying after the first chapter describes her ineptitude and self-absorption; this soon gives way to her resolute love for her mother, shading her a bit rosier. This engrossing epic novel focuses on several main character plotlines that grow like a dense, intertwined (and sometimes suffocating) ball of roots. There’s a hall-of-mirrors quality to the novel. The characters’ stories are told in first and third person, signaling a change in perspectives and tone; in other chapters, further definition of the same person may emerge from other points of view or actions. Time scrolls forward and backward, revealing many a-ha moments as we’re able to eventually tag the same person as a daughter, mother, or love interest. Impetuous youthful actions intersect with major geopolitical events to carve the life paths of the protagonists, but intent and an overarching scheme shadow everything, ominously. Agribusiness, Wikileaks, and online-only respected publications provide the backdrop. The fall of the Berlin wall actually becomes a threat rather than a benevolent event on a personal level. Power, both economic and interpersonal, is wielded and withheld in numerous ways. 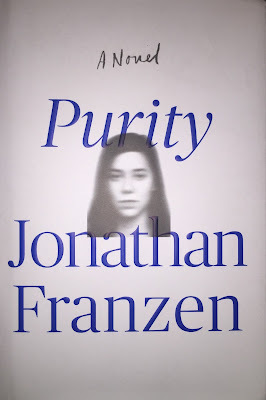 Franzen zooms out and in, macro to micro, making the trivial momentous and vice versa. Many of the main characters’ names begin with “an,” which can mean a lack or nonexistence of something. Annegret, Anabel (and NOT Annabelle! ), Andreas, Annelie. The accumulation of these A names play with the mind; I flipped back continually to check that I hadn’t mistaken one name for another. Then I subtracted the prefix to get Egret, Abel, Dreas, Elie. Meaningless, perhaps, but certainly as much as Franzen’s deliberate play on names and shifting identities. At first it feels weird, like how pitcher Roger Clemens gave his kids names all starting with K (as in, strikeout), but then accrues and feels more subconsciously significant than anything else. Franzen's language is mostly straightforward, but once in awhile he drops in a lovely poetic bomblet. His concise yet profound manner of describing people, things, and places is also impressive. His last novel, Freedom, felt more affected and closer to satire. In Purity, we meet complicated, unlikable people who have done reproachable, sometimes horrific things, but we sympathize. And with Donna Tartt's The Goldfinch, it does feel like one of the most significant novels of the past couple of years. I was fortunate to read it over the extended weekend; it took me over like an extended dream—one I was sorry to see end.